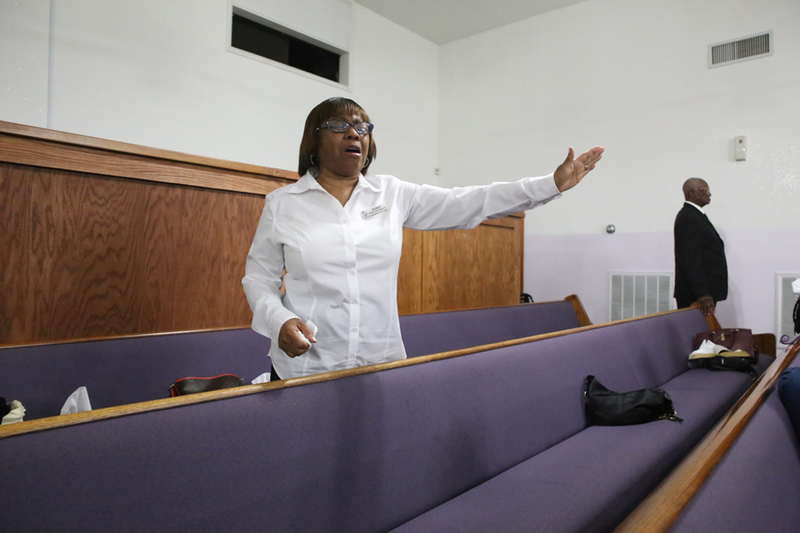 “There was obviously an energy in the house that pulled on me,” Pastor Carlton Lynch said about his guest-speaking role during True Love Baptist Church’s Sunday service on May 27. Lynch’s words, spoken with his usual animation and vehemence, began to meld together with each individual word forming one line, a loud (because a microphone amplifies) united front. Pastor Lynch volunteered his services to True Love’s Pastor Robert Bell after the shooting that occurred the previous day just outside of the church, at the funeral service for Leona Weaver. “Pastor Lynch is my son in the ministry,” Pastor Bell said. The pastors have pitch hit for each other before. Pastor Lynch, head pastor of Pilgrim Rest Baptist Church in Benton Harbor, Michigan, formerly of New Beginnings Church in Fort Wayne, happened to be visiting the city. Lynch was doing outreach, ironically talking about gun violence, when he heard about the shooting. He immediately called Pastor Bell. True Love’s Youth Choir opened the service with a rendition of “I Don’t Know What You’ve Come To Do.” After a short preamble, Pastor Bell spoke for a bit (“The good God deserves good praise.”), before introducing Pastor Lynch. “Don’t let the kids fall asleep. I want them to hear what I have to say,” Lynch said. The assembled laughed. On Saturday, May 26, 20 minutes into the funeral service, during the two-minute tribute section, the 500 attendees heard the gunshots. An unidentified young man, attending the service, was shot in the leg while standing outside. When he was asked by the police officers about the identity of the shooter, the young man answered that he didn’t know. “Young man, if you know who shot you, you need to tell the police,” True Love Pastor Robert Bell recalled telling the victim. The young man maintained that he did not know. 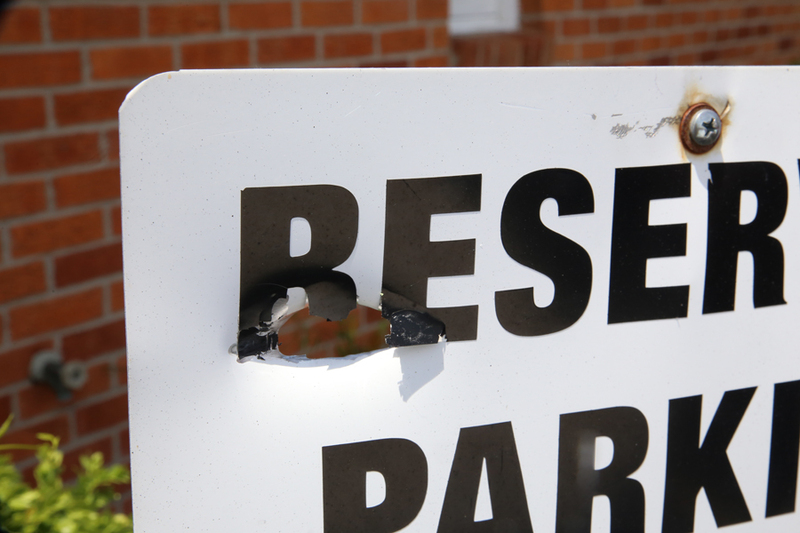 A bullet pierced the pastor’s parking sign, another shot out a window, and another went through a gutter. There were others. Nelson’s Funeral Home’s hearse was shot. The funeral home wanted to leave with the casket immediately. “In that moment, I said yes,” Pastor Bell said, about Nelson’s leaving. “About time I got back to the sanctuary, I said no.” Attendees were standing, deciding whether to stay. “I told them that everything is under control. I need you to calm down so I can talk to you,” Pastor Bell recalled. Two police officers were standing in the back of the church. “You have the right to leave right now. But if you’re going to stay, I need you to sit down. You can’t be on the premises if you’re not in the building.” The parking lot was a crime scene. 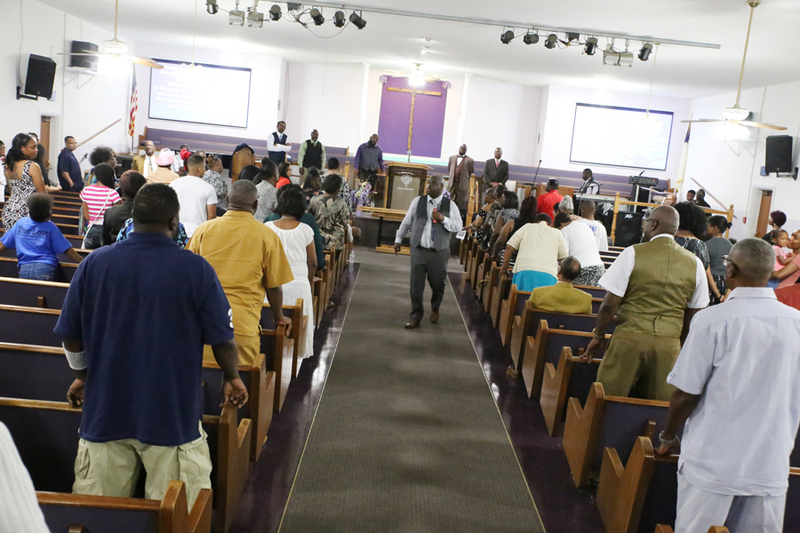 Inside, Pastor Bell held a church service, like it was Sunday. “We didn’t allow what happened outside to affect what was happening on the inside,” Pastor Bell said. Pastor Lynch reminded the congregation that Pastor Bell passed on the opportunity to back down the day before.